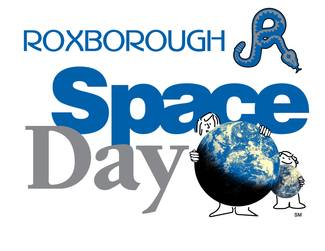 Roxborough Space Day is a daylong event sponsored by the Parent Teacher Organization (PTIC) since 2008, for students at RXI & RXP. Our PTIC organization plans fun and educational space-related activities and an assembly for our students every year. Our parent volunteers and volunteers from Lockheed Martin help make this a day that is truly out of this world for our students! *PLEASE NOTE NEW VOLUNTEER SYSTEM THIS YEAR! TO MAKE CHECK-IN EASIER AT RXP, IF YOU ARE VOLUNTEERING AT RXP, PLEASE GET YOUR DRIVER'S LICENSE PRE-SCANNED AT RXP PRIOR TO SPACE DAY IF POSSIBLE- THANK YOU! **Watch for an email the SUNDAY night before Space Day which will give parent/community volunteer more details for the day. Post Signs & Schedule for each Activity(SD Committee will provide signs & tape). Works best in team of 2. Lunch is pre-purchased & will be delivered. We need someone to set up lunches on Counter in the RXI Library.